Shendam is one of the many thousands of towns of Northern Nigeria. Situated in the Lowlands of Plateau State it has no major industry and has few outstanding physical or historical features that would attract the visitor. The Chief of Shendam is known as the Long Goemai, a title that has been in existence far back into the shadows of past centuries. But Shendam has a special place in the history of the Church in Nigeria: it is the very first Roman Catholic mission station established north of the Rivers Niger and Benue. This happened on 12th February 1907 and so 12th February 2007 will be a wonderful day for all the Catholics of Northern Nigeria. They will celebrate 100 years of the foundation of the Catholic Church north of these great rivers, years that have witnessed an almost unbelievable growth in members, parishes, dioceses and church institutions. The first three missionaries, Oswald Waller (French), Ernest Belin (French) and Joseph Mouren (Dutch), were members of the Society of African Missions (SMA) which was based in Lyons (France). After a sea journey of more than a month they landed at Burutu at the mouth of the Niger (Lagos had no harbour to take ships at that time) on December 4th 1906. They went from Burutu up the Niger to Asaba where Monsignor Carlo Zappa lived. He was responsible for the Catholic Church in the territory of the Upper Niger. He was on a tour of his missions when they arrived, so they had to wait almost two weeks before he returned and could give them some information as to their possible destination. So on February 7th 1907, having crossed over from Ibi, Waller and Mouren set off on a narrow path with carriers for some of their loads leaving Belin to guard the remainder of their belongings at Ibi until more carriers could be found. On February 12th, after six days of struggle through elephant grass, rough bush, swamps and having crossed the Shemanker River six times, they had their first look at Shendam, built on a slope on the other side of the river. It was a small walled town of one street to which they were welcomed by the Long Goemai and his people – poor people who gave a great welcome to the strangers, including some of their huts until the missionaries could have their own accommodation. They had to struggle with the language since they had neither Hausa nor Goemai. They had to be farmers, shepherds, carpenters and well-diggers, in establishing their mission but they never forgot that they were missionary priests who came to preach the Gospel of Jesus Christ. By 1909 six SMA missionaries had come to Shendam: Belin, the youngest, died of black-water fever within six months, Schumacher, who came a month after his death, was himself dead of the same sickness in 18 months and Mouren, who had reached death’s door six times, was on his way back to Europe. In that much time: the only baptisms they had (Christmas 1908) were two, treed slave boys who were given to the mission to rear. It would be 1914 before the first marriage received a church blessing. Even though progress was terribly slow and sickness and death took such a heavy toll on this infant mission yet a second mission was opened when two more priests, Adolphe Roussellet and Theophile Boulanger, came from France. Then two others, Alphonse Schahl and Georges Fischer, came before the end of 1909; Charles Monpoint came in 1912 and Eugene Sirlinger and Donat Scheicher in 1913. Sirlinger was to become well known for his work in translating catechisms and Bible stories in a number of languages, including Goemai. He also set up the first school in Shendam. Schelcher who died from black-water fever at Demshin in 1919 was the third priest to die in those early years. In 1911 Shendam was cut off from Asaba and became the headquarters of the new Prefecture (mission territory) of Eastern Nigeria. The name was given in error because it was not east of the Niger but the area between 8° East and 12° longitude and north of the river Benue. Oswald Waller, the only survivor of the founding group, was appointed Prefect Apostolic (superior) by Rome. His prefecture covered an area of 200,000 sq km approximately with just two mission stations: Shendam and Demshin! Waller and his missionaries were men of deep faith and determination as they had shown in the face of all the setbacks that came their way from the time they had landed at Burutu. Every journey begins with a single step and Shendam and Demshin were just the first steps in the journey of evangelising the entire North of Nigeria. In July 1911 Waller went to Bauchi and was optimistic about establishing a mission in that area. However, as was the case with the people of Pankshin who had invited them there shortage of men hindered development. It was 1918 before Waller visited Jos and Kano where he was asked to open a chapel. Travel to Jos whenever one of the priests visited it was on horseback since there was no railway and no road transport. It was until 1921 before the first simple church was opened in Jos and 1922 before work began on the church in Kano. Waller also visited Zinder (in the present Niger Republic) which was to become an outstation of Kano. 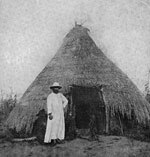 Almost all of North Eastern Nigeria was under the care of the Shendam Mission even though little work could be done in the early days because of shortage of missionaries. At one time there were only 4 priests in that vast territory. The building of the railway was a big boost to their work because it helped travel. However, it added a lot of work since there was a small Christian community at every railway station and construction yard and these people too needed the services of a priest. Places such as Jos, Ropp, Makurdi, Lafia, Mada, Gudi, Jagindi and Kafanchan, were regularly visited by priests from Shendam who sometimes spent up to two months in this work – saying Mass, hearing Confessions, celebrating marriages and baptisms. Mgr Waller left Kano after the opening of the new church in 1925 and for health reasons could not return. By that time the headquarters between 1910-1925: men like Berengario Cermenati who celebrated the first Masses in Minna, Zungeru, Kaduna and Zaria in 1911, Patrick 0’Connell who was to become the earliest resident priest in Zaria in 1921 and Paul Emecete, ordained for the Vicariate of Western Nigeria in 1920 and the first Nigerian priest of the 20th century. Cermenati had visited the Shendam men in 1907 and also in 1911. In 1929 the part of the Prefecture of Western Nigeria (headquarters at Asaba) north of the Niger was added to Waller’s prefecture and the unified territory was called the Prefecture of Northern Nigeria with a new Prefect Apostolic, this time an Irishman, Mgr. Francis O’Rourke. There were three missions with resident Fathers: Shendam, Kano and Zaria with 6 priests altogether. In 1934 this huge region was divided into the prefectures of Jos and Kaduna with Monsignors William Lumley and Thomas Hughes respectively heading them. In Jos there were now 4 main stations: Jos, Shendam, Udei and Kwande with 9 priests. They had a total of 24 secondary stations. Whereas Kaduna had Kaduna, Kano, Zaria, and Minna with 8 priests and 16 secondary stations. Both Jos and Kaduna became dioceses in 1953, Jos with Bishop John Reddington and Bishop John MacCarthy at Kaduna. By 1960 Jos had 11 central missions, a minor seminary, 2 teacher training colleges, 3 secondary schools and 2 hospitals whereas Kaduna had 15 central missions, 4 teacher training colleges, 5 secondary schools and 2 hospitals. Jos was elevated to an Archdiocese in 1994, and Bishop Gabriel Ganaka who succeeded Bishop Reddington became the first Archbishop. Peter Jatau, ordained in 1963, (present Archbishop of Kaduna) was the first indigenous priest of Jos diocese, followed by Gabriel Ganaka who was ordained in 1965. Today there are more than 100 Nigerian priests and many Sisters working with Archbishop Ignatius Kaigama. Those humble beginnings in Shendam in 1907 were the seeds sown that, directly or indirectly, gave birth to the dioceses of Kano, Bauchi, Yola, Maiduguri, Jalingo, Kafanchan, Lafia and the Archdiocese of Jos. The Archdiocese of Kaduna, the dioceses of Sokoto, Zaria, Minna and the Vicariate of Kontagora had their initial impetus from a different direction, from Lokoja along the Niger to Baro and from Minna on the railway line to Kaduna and Zaria. We remember all those who gave their lives, their talents and their health from the first days at Shendam to the present time: the missionaries, the indigenous priests and Sisters, the catechists and teachers, church leaders and all the faithful who received the Gospel message with such faith and who passed it on from generation to generation. In the history of the Catholic Church in Northern Nigeria Shendam can be seen as the mustard seed of the Scriptures which is the smallest seed of all seeds when sown but grows into the biggest shrub of all (Mark 4:30-31). That the harvest has been great is due entirely to God’s blessing.